Greenock have signed Indian all-rounder Saurabh Bandekar for the 2018 campaign. The 30 year-old is a seam bowling all-rounder who boasts an impressive record in domestic cricket. He is s medium-fast seam bowler and top order right-hander, who played for India Under 19's. He has also played IPL cricket for Royal Challengers Bangalore and Kolkata Knight Riders. 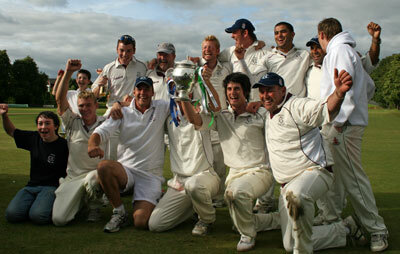 Greenock finished third bottom of the Western Union Premier Division having won promotion the previous year, and last won the SNCL Premier Division title in 2002. Bandekar joins a long list of famous overseas players at the club with Aussies Dene Hills, Cameron Borgas and Michael Dighton, as well as their most famous recruit of all, West Indian Gordon Greenidge. Big boots to fill for the talented Bandekar.